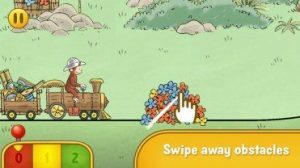 Curious George Train Adventures is a fun new educational app for kids, especially those who are fans of Curious George! 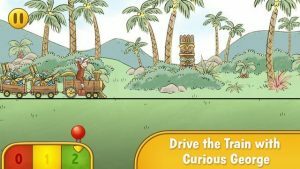 With Curious George Train Adventures, kids can join Curious George as he rides through a Tiki-themed amusement park adventure completing puzzles along the way. Kids can help Curious George and the Man with the Yellow Hat drive the train to its final destination, all while making sure that they do not drop any of the construction materials! There are 10 exciting and challenging levels in the Tiki Adventure Amusement Park. Kids will progress through the levels, unlocking a new level each time they successfully complete one. 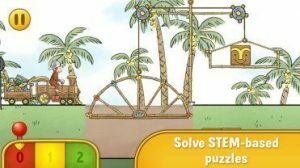 The app contains puzzles that focus on STEM-based concepts (STEM – Science, Technology, Engineering and Math) such as: speed, raising bridges, opening gates and navigating obstacles. As kids complete levels, they will earn star rewards, as well as enjoy celebratory animations with Curious George. 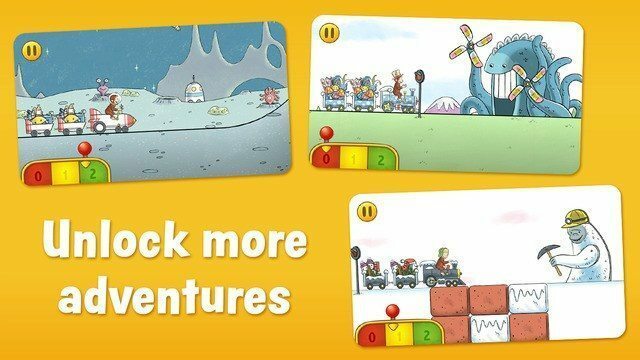 I love how this app helps children develop and practice skills in science, technology, engineering and math – these concepts are not often addressed in early learning apps. 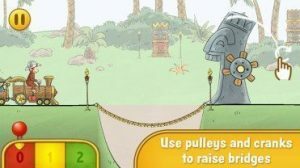 The app also teaches children to build upon their natural tendency to explore, discover, question, experiment and build. Following directions and progressing through a sequence are also emphasized. I really enjoyed the Curious George Train Adventures app. My 5 year old son really loves playing the app, and he seems like the perfect age. I would definitely encourage parents of preschoolers and/or kindergarteners to check this app out! *I wanted to mention, the app comes with one world, and you can purchase three additional worlds: Frosty Wonderland, Zany Meadows and Space Spectacular, in a bundle.